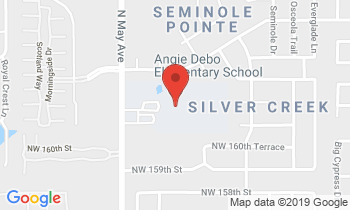 There are several ways to stay connected with Angie Debo Elementary School! First, make sure to download the “School Way” App for Parents. This app is great for knowing important everyday information and getting reliable, instant alerts. Once you have connected with SchoolWay, you will need to register and then search for Edmond Public Schools and Angie Debo Elementary. Visit the SchoolWay website for more information. If you prefer social media – check out our Facebook Page! Infinite Campus (parent portal) provides parents, guardians and students with real-time access to course schedules, assignments, grades, attendance and report cards for grades Pre-K through 12. If you have already established a portal account with Infinite Campus, click the link below. New to Edmond Public Schools: Parents/guardians will receive an email that will contain a link with instructions on how to set up a new portal account after student enrollment has been completed. Parents/guardians of current EPS students who do not have a Portal account should be receiving a weekly email asking you to create a portal account; the email will contain a link to set up an account. If you are NOT receiving a weekly reminder email, you should contact your school to verify your information. After you have created a parent portal account, you will be able to install the mobile app to get information when you want it, anytime, anywhere from your IOS or Android Device. Click here for Step-by Step directions to help you navigate your portal app.